The Leicester-born bricks-and-mortar camera retailer, Jacobs, has gone into administration. The family firm, which was founded back in 1939, has 19 stores throughout the UK and employs 154 staff. Recent tough trading conditions and the ferocious competition coming from web-based suppliers has piled pressure on many traditional photographic retailers. The board of Jacobs called in PFK (UK) LLP to handle the company's affairs while it's in administration. Eddie Kerr, a partner at PFK, said: "It's desperately sad to see a family-run business such as Cecil Jacobs encounter problems. The company has a rich heritage and loyal customer base, but this has not been enough to see it through the ongoing economic slowdown. "Our plan is to keep the business running in the short term and undertake an immediate review of the company's estate, with a view to finding a buyer, if possible, for the going concern." 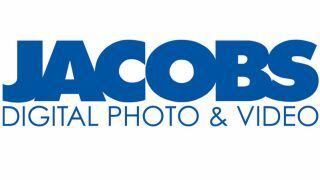 Jacobs was established in 1939 as a chemist store and only began its expansion into photographic equipment in the 1970s, when the founder's son joined the business. Swift expansion followed in the in the late 1980s, when the firm opened its first store outside of Leicester. In 1999, the company opened a flagship store in London's New Oxford Street and followed that with more store openings in London, Cardiff, Sheffield and Leeds.